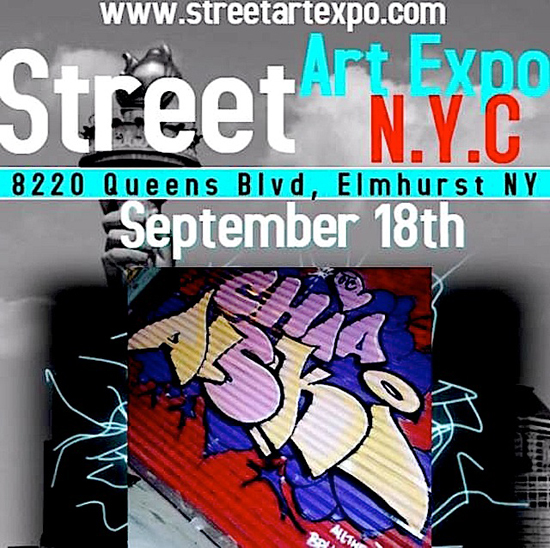 While attending the Street Art Expo NYC this past May in Elmhurst, I met the legendary Queens graffiti writer Alski. 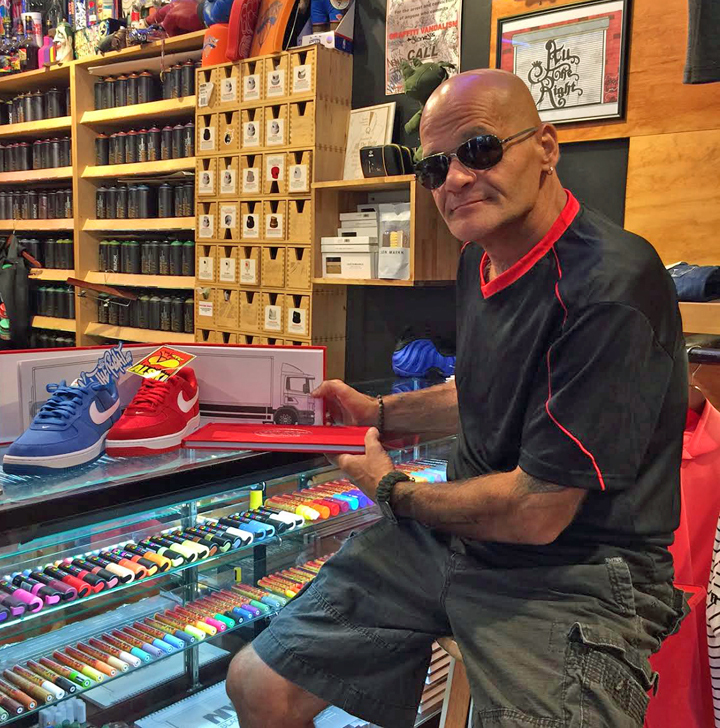 Struck by his passion and devotion to the graffiti culture, I was delighted to have the opportunity to interview him. We met up late last month at All the Right — a hip-hop clothing and graffiti art store — on the corner of 92nd Street and Corona Avenue in Elmhurst. It was back in 1979 in Corona. I was in the 6th grade at the time. What were your main spots? Street corners and the 7 train. It was the incredible pieces I saw on my walks from Roosevelt Avenue to Junction Boulevard – works by Dondi, Fuzz, Flame. I remember being struck by their phenomenal colors. And I liked the idea of becoming popular — of getting known. 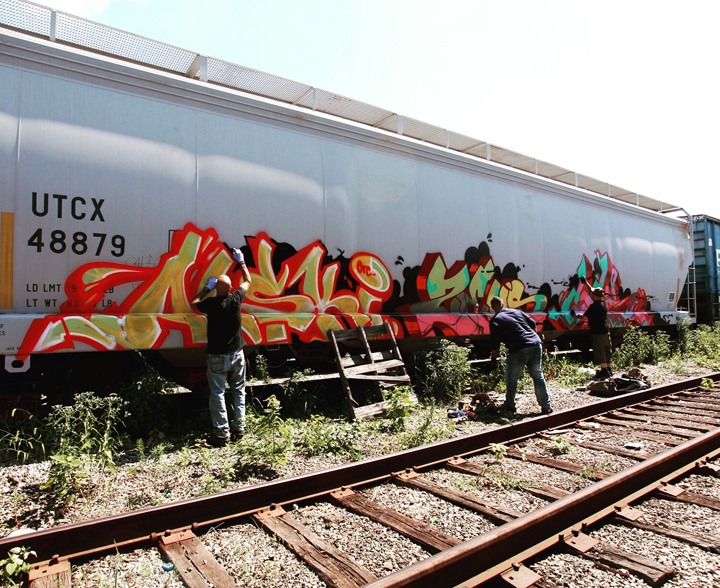 Did you paint with any crews back in the day? I was mostly solo. The kids from school wouldn’t put me down because I was White. How did your family feel about what you were doing back? My father couldn’t understand why I was doing what I was doing! He yelled at me, but he was always good to me. What were some of the dangers you encountered doing what you were doing? Running as I was getting chased and dodging bottles that were thrown at me. Can you tell us something about your name — Alski? I’ve actually had lots of names. But the Al is my tribute to Raskal; I like his handstyle. And ski signifies homie. These days — would you rather work alone, or do you prefer to collaborate with others? I generally like working alone, but collaborating with others allows me to get to know other writers. Any thoughts about the graffiti/street art divide? Do you — personally — feel it? There’s definitely resentment among some graffiti writers towards street artists. Many street artists come from privileged backgrounds, and they’ve gone on to earn degrees in Fine Arts. Most graffiti kids can’t spend money the way many street artists can to promote their careers. The writers also feel that much of street art is a sell-out. But, no, I don’t feel it personally. I’m neutral! 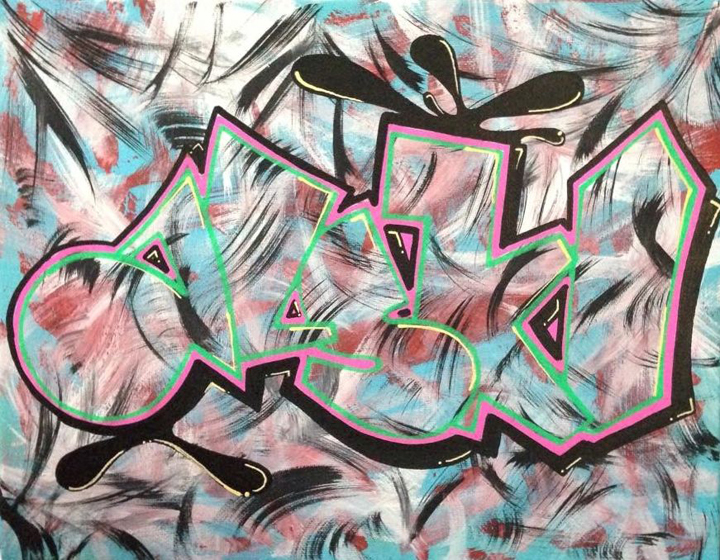 I’m open to interviewing street artists for my podcast, as well as graffiti writers. Have any particular cultures influenced your aesthetic? The B-Boy culture and hip-hop were my main influences. 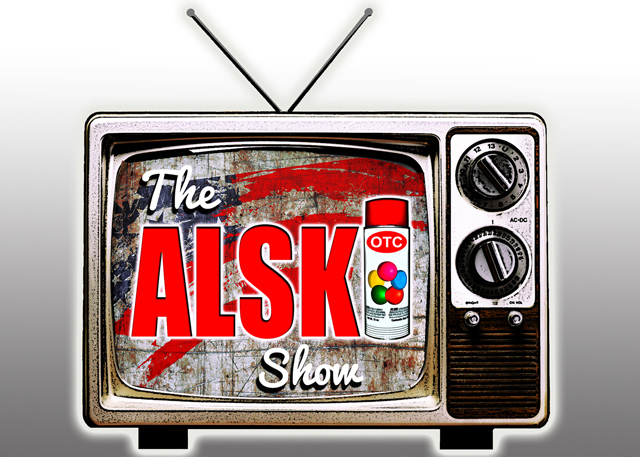 I’ve been checking out The Alski Show. I love it. It’s so much fun, and I’m learning so much. You’ve interviewed quite a few legends. You’ve been doing this weekly now for almost a year. I know that you work full time. That’s a lot of love and a lot of devotion. It’s my way of giving back, of keeping the culture alive and pushing it forward. The Alski Show certainly seems to be doing that! You can check out Alski’s website, Out to Crash, here. And you can meet him tomorrow, Sunday, at the Street Art Expo NYC where he will be selling a range of merchandise — from canvases to his OTCITY Truckbooks — and signing black books. Photos: 1 Lois Stavsky; 2-4 courtesy the artist. Interview conducted and edited by Lois Stavsky. Previous post: Lamour Supreme Completes 100th Gate at Katz’s Deli on the LES, and the 100 GATES Project Invites Us to Celebrate!